24 page format offering a full page for the image and a full page with date boxes. Each calendar is shrink-wrapped with a card stiffener for protection in transit. 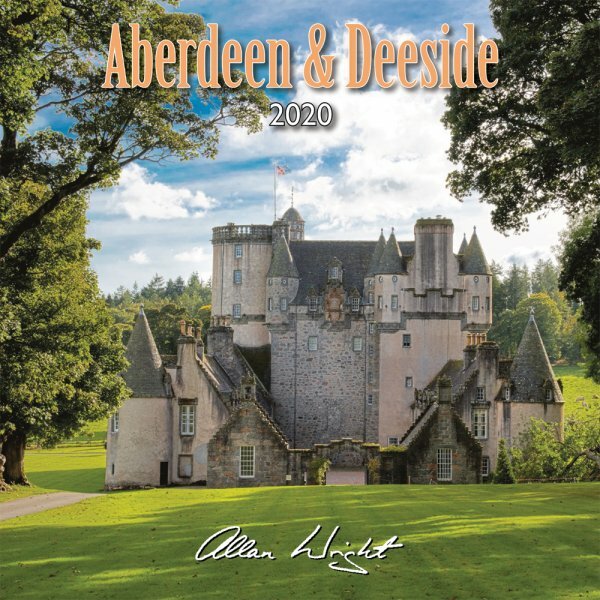 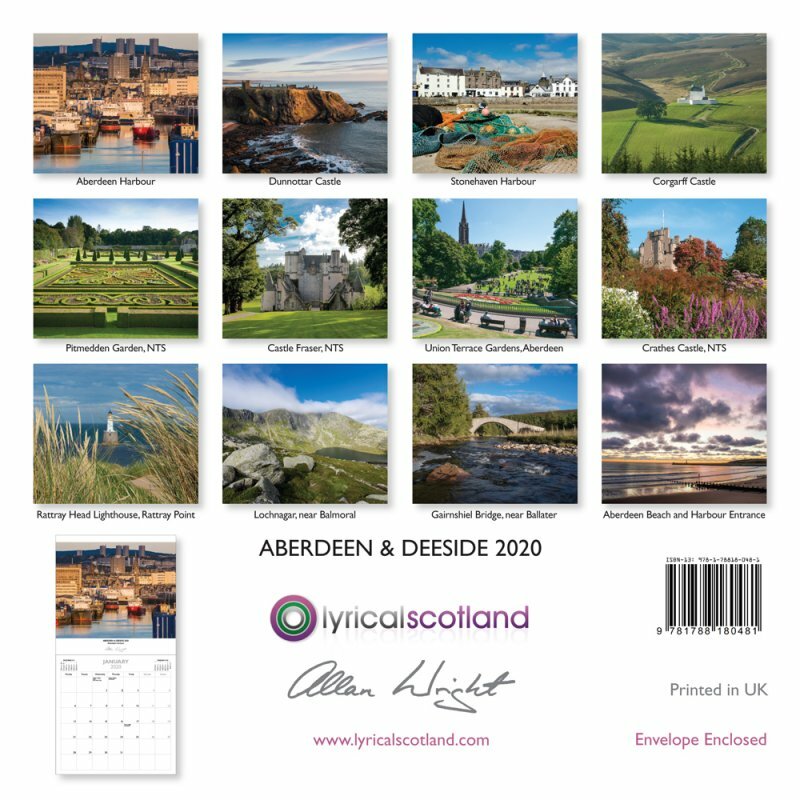 Images included are; Aberdeen Harbour; Dunnottar Castle; Stonehaven Harbour; Corgarff Castle; Pitmedden Garden, NTS; Castle Fraser, NTS; Union Terrace Gardens, Aberdeen; Crathes Castle, NTS; Rattray Head Lighthouse, Rattray Point; Lochnagar, near Balmoral; Gairnshiel Bridge, near Ballater; Aberdeen Beach and Harbour Entrance.